At first glance, cancer researcher Michael McCulloch’s lab at the Pine Street Foundation in San Rafael, Calif., looks predictably humdrum — a computer, a few beakers and some vials. And yet, if you look a little closer, there’s something downright peculiar about the place. Most notably, the water bowls, leashes and the roll of paper towels used for sopping up slobber. For the past 10 years, McCulloch, an acupuncturist by training, has been exploring whether the sensitive nose of his furry, four-legged research subjects can detect cancer. And after hearing accounts of canines that reportedly saved the lives of their human owners by sniffing, pawing and barking at their tumors (long before being diagnosed by a physician), he has been grappling with a thought-provoking theory: If a dog can do that spontaneously, that suggests they can be trained to do it. McCulloch first became aware of the concept that certain diseases can be detected in a person’s breath from an ancient medical text in the early 1980s while studying acupuncture in Taiwan and mainland China. 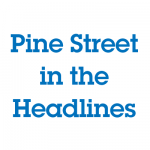 In 2003, he and his colleagues at the Pine Street Foundation began collecting breath samples from nearly a hundred lung and breast cancer patients. Next, they went to work developing a technique to train a group of dogs to sniff out the samples in much the same way law-enforcement personnel teach canines to use their noses to find narcotics and explosives. McCulloch recently began working on a follow-up study funded by the federal government and private donations. Last year, they began collecting breath samples from women recently diagnosed with ovarian cancer, known as a particularly aggressive, fast-growing type of cancer cell rarely detected in its early stages. Once again, McCulloch and his team set out to determine if the dogs could be trained to accurately locate the samples — held in fist-sized plastic tubes — when hidden amongst four other similar tubes containing breath samples from healthy adults. Although the full results of the study won’t be known until December, so far the canines have displayed uncanny accuracy. Which leads McCulloch to wonder if perhaps some day a woman’s breath sample might prove to be a more accurate and earlier way to detect ovarian cancer than the commonly used blood test or ultrasound. This entry was posted on Tuesday, August 18th, 2009 at 9:05 am. 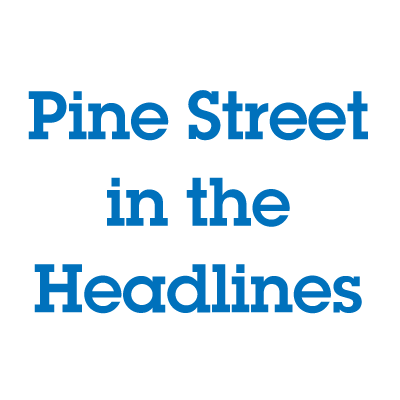 It is filed under Canine Scent Detection, Featured, Pine Street in the News.